Cross-Border Mergers – A Success or Not? Title: Cross-Border Mergers – Mergers are business transactions that happen between two companies where one takes over entirely or part of the other business. Cross-border mergers are mergers that take part between companies from different countries or nationalities. Cross-border mergers can be classified as either inward or outward; the former occurs where a foreign company acquires a domestic company and the latter occurring when an international company is wholly or partly purchased. These cross-border mergers have been on the rise since the 1990s and are increasingly taking place in different industries. Typical industries that these cross-border mergers take place include the pharmaceutical, automotive as well as telecommunications sector. Cross-border mergers are a strategy for companies to expand into markets that they think are profitable and are a vital key to the success of their products and services. But due to the international aspect of these mergers, various challenges face the companies involved for example the difference in economic, cultural and institutional aspects and these can be a major impediment to the success of these mergers. An example of a failed cross-border merger is the merger between Daimler-Benz from Germany and Chrysler from the United States of America. This merger took place in 1998, and the result was the formation of Daimler-Chrysler Company. This merger was viewed as the union of two great automotive companies but sadly it was not a success (Rosenbloom, 2010). Looking into the reasons for the failure of this cross-border merger, several issues can be found to be the reason behind its failure. One of the key reasons behind the failure of the merger was the cultural difference between the two countries. The German cultures were seen to be the most dominant in the company, and this led to the satisfaction of employees at Chrysler who were predominantly American to drop off. This cultural mismatch is seen to be the main reason behind the failure of this merger and nine years late Chrysler was sold off to Cerberus Capital Management after a string of losses and employee layoffs. Another reason behind the failure of the cross-border merger between Daimler and Chrysler was the differences between the two companies’ operating styles. The organizational structure implemented at Daimler was a tiered organization that had a clear chain of command and respect for authority. This structure was a direct contrast to the approach at Chrysler that implemented a team-oriented and open plan (Pervaiz, M., and F. Zafar, 2014). The result was a lack of harmony as well as opposing work styles between the German and American managers at the company. It can be seen that since Daimler was the one that took over Chrysler, it tried running the American company’s operations just like it was doing in Germany (Appelbaum, Roberts, and Shapiro, 2013). If this issue was to be avoided, a focus on the different organizational culture should have been carried out so as to define the various management styles, the similarities as well as the differences and tried to come up with a common ground that could be implemented in the merger. Different organizational structures leading to a lack of coordination between the employees. According to Qiu (2010) the failure of the Daimler-Chrysler merger had far-reaching financial implications and was a disappointment to what would have been one of the most successful mergers of all time. If this merger had worked out, the company would have had a significant stronghold on the automotive market making it one of the largest automakers in the world and giving it super profits and access to a vast customer base. The competitive advantage that stood to be gained by this merger would be second to none, but this was never to be. The result of this failed merger was a lesson to other businesses that would be having the plan to take part in cross-border mergers. Appelbaum, Steven H., Jessie Roberts, and Barabara T. Shapiro. “Cultural strategies in M&As: Investigating ten case studies.” Journal of Executive Education 8, no. 1 (2013): 3. Rosenbloom, Arthur H., ed. Due diligence for global deal making: the definitive guide to cross-border mergers and acquisitions, joint ventures, financings, and strategic alliances. Vol. 8. John Wiley & Sons, 2010. Qiu, Larry D. “Cross-border mergers and strategic alliances.” European Economic Review 54, no. 6 (2010): 818-831. Pervaiz, M., and F. Zafar. “Strategic Management Approach to Deal with Mergers in the era of Globalization.” International Journal of Information, Business and Management 6, no. 3 (2014): 170. 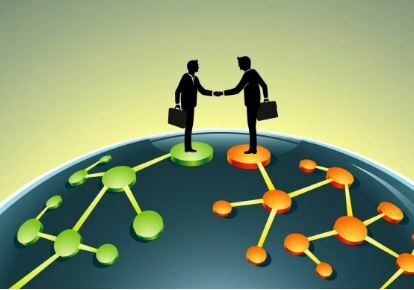 Did you find any useful knowledge relating to cross-border mergers in this post? What are the key facts that grabbed your attention? Let us know in the comments. Thank you. Coca-Cola is a multinational company which has been in the market for a long period of time. For it to survive, the company has adopted proper planning and strategies to its market and customer base. The main theme has been to make Coca-Cola products a refreshing beverage to all people. This theme has been maintained because the company has more than three thousand beverage products that market and customer. t are consumed by its portfolio. In order for this drink to be available to every part of the globe, Coca-Cola has so many companies that help in product distribution (Jones and Comfort, 2018). To have such a range of the beverage products selling well globally require proper strategic plans and marketing strategies. This is because the product has to penetrate through to customers of different cultures, tastes and preferences. Moreover, a strategy which works in one country might not work in another country. For instance, there have been campaign logos like a ‘delightful winter or summer drink’ which have been growing on the media. This advert logo was indicative that Coca-Cola products can be consumed at all times, all year round. The second theme concerns the strategy, vision and mission of this company which are always progressive to make Coca-Cola beverages the first drink of choice by the customers on all occasions any time. The vision, mission and strategy for this company combined at the moment focused on vision 2020. While in 1989 F. David had developed nine components of the mission namely: technology, products, customers, philosophy, location, self-concepts, survival, public image concerns, and employees concerns. Currently, these components have changed and reduced to five, namely: people, portfolio, planet, profits and productivity. Out of these, the company has placed more emphasis on the component of people. In this case Coca-Cola provides a good working environment through inspiration, and by supporting customers through supporting sustainable community projects. There are links between the former and the current these because some of them have been merged to reduce them from nine to five, while maintaining the final aim. At that time (1989), the mission and vision of the Coca-Cola Company was to sustain the business, improve the public image and meet the concerns of its employees. Once the component of people is properly handled, then customer and employee loyalty increases and hence more sales and profits. Coca-Cola engages in corporate social responsibility, then customer and employee loyalty increases and hence more sales and profits. A priority task to provide self-interest as well as care to the people and environment (Smarandescu and Shimp, 2015). Thus, the company has been producing disposable bottles annually. Based on the strategy of making positive contributions to all stakeholders, Coca-Cola USA has partnered with the government to encourage recycling of wastes materials. The major role of the mission statement for a large organization like Coca-Cola is to make the customers, employees and other stakeholders aware about details of what the company is all about as well as the goals of the company (Gertner and Rifkin, 2018). The three mission statements of Coca-Cola are: to refresh the world, inspire moments and happiness, and to create value and make difference. By inspiring moments and happiness, Coca-Cola offers to its customers the beverages of high quality which refreshes their world and creates inspiration via the identity of their brand. The company creates value to stakeholders by participating in sustainability practices which benefits all stakeholders. An example is the sponsoring of community based activities that have a common good. However, there some contradiction with regards to this mission due to increased solid waste, until the company gets to a point where they can reduce a large portion of the generated wastes. To refresh the world, Coca-Cola has engaged in innovative practices to produce so many beverage brands for its customers globally. From the perspective of Coca-Cola Company, the three points of mission statement have made the company the leading beverage company for so many years. In the 1980s, most companies were aligned to continued improvement so that a business could survive for a number of years. However, Coca-Cola aligns to the portfolio aspect vaguely, although these companies have been in the process of increasing quality of the products for the consumers through continued improvement. I have come to clearly understand the significance of strategy and planning in a business organization. Without plans that are geared towards the customers, a business is bound to fail. This is because the interest of the customers is the most important. Considering a company like Pepsi, their vision statement has lid more emphasis on financial performance. However, by concentration on meeting customer expectations and creating a loyal brand, sales and profits follows suit. However, this company also has statements similar to those of Coca-Cola such as corporate social responsibility and sustainability practices. 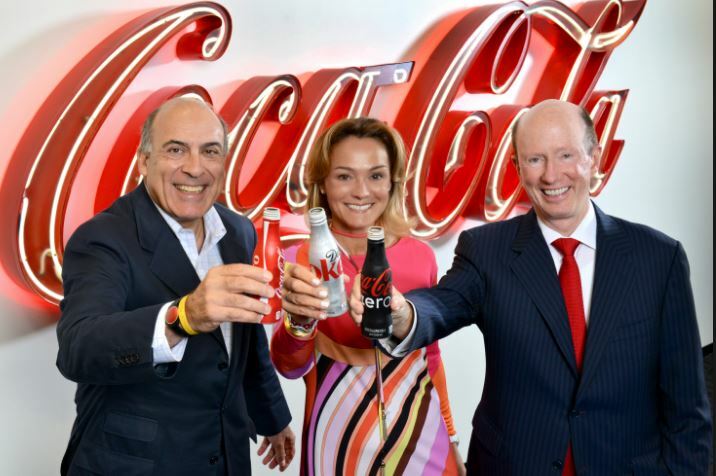 Coca-Cola has gone a step further to involve its staff in supporting various actions, more so the charity organizations, such as the Wings and Wishes. This is because, in some instances, poor or lack of philanthropic image can damage the long term plans of an organization. This is takes especially when the customers fail to appreciate the efforts of the corporate organizations. There are a number of advantages and disadvantages associated with teamwork. For instance it increases productivity because a task is distributed based on the teams’ individual abilities. This division of tasks in teams also avoids task duplication and saves time (Costa et al., 2014). It also increases motivation where every team member feels as part of the team. However, teamwork could be associated with some disadvantages too. For example, there might be unnecessary wastage of time, especially when making decisions. This is because each team member has their own opinions and this might take a long time before the final decision is arrived at. In assignment, since I was not in a group, I found challenges in completing the assignment. While it was easy for me to make decisions on the materials to use for the assignment, I took a long time to compile the important materials and come up with the final output. However, I have learned to make rational decisions and to utilize time properly especially when tasked with a complex issue to solve. Moreover, since I was not in a group I have learned innovative methods when handling complex and challenging tasks so as to come up with a fine output based on the requirements. Jones, P. and Comfort, D., 2018. The Coca-Cola Brand and Sustainability. Indonesian Journal of Applied Business and Economic Research, 1(1). Smarandescu, L. and Shimp, T.A., 2015. Drink coca-cola, eat popcorn, and choose powerade: testing the limits of subliminal persuasion. Marketing Letters, 26(4), pp.715-726. Gertner, D. and Rifkin, L., 2018. Coca‐Cola and the Fight against the Global Obesity Epidemic. Thunderbird International Business Review, 60(2), pp.161-173. Costa, P.L., Passos, A.M. and Bakker, A.B., 2014. Team work engagement: A model of emergence. Journal of Occupational and Organizational Psychology, 87(2), pp.414-436. Did you find any useful knowledge relating to Coca-Cola Principles of Management in this post? What are the key facts that grabbed your attention? Let us know in the comments. Thank you. Below you will find a great range of business management essay topics for you to purchase. These business management essay topics are here to help inspire you in creating your own Business essay or assignment. 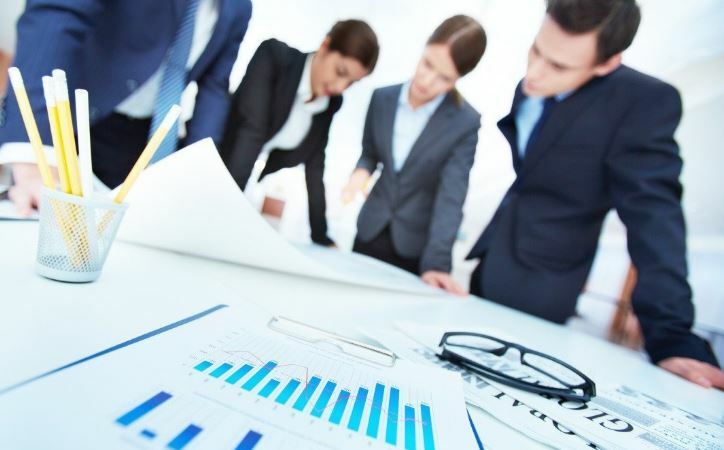 Our sample business management essay topics will prove helpful in formulating your own dissertation topic, objectives, literature review, methodology and analyses. Our sample Business essays are an ideal tool for any student struggling to start their own business management essay topics. Business Management is an essential part of any organisation and there are many elements of Business Management. By browsing our collection of business management essay topics, you will get ideas for your Business essay through the following Business subjects: Global Business, Business Strategy, Corporate Social Responsibility, Change Management, Project Management, Organisational Behaviour, Leadership, Globalization, Strategic Management, Entrepreneurship, Technology and Innovation Management. We hope you find the business management essay topics you are looking for. Where Can I Find Business Management Essay Topics? If you enjoyed reading this post on Business Management Essay Topics, I would be very grateful if you could help spread this knowledge by emailing this post to a friend, or sharing it on Twitter or Facebook. Thank you.